Bio: After being consistently sedentary for far too long, I decided to make a change and started working out from home. I lost about 30 pounds in a few months and became decently fit, but was getting bored with the same old workout routine. Since Red Rock was so close I decided to take up hiking with some friends. I’ve really only been hiking for a year now, but it has become a big part of my life and I don’t see myself replacing it anytime soon. 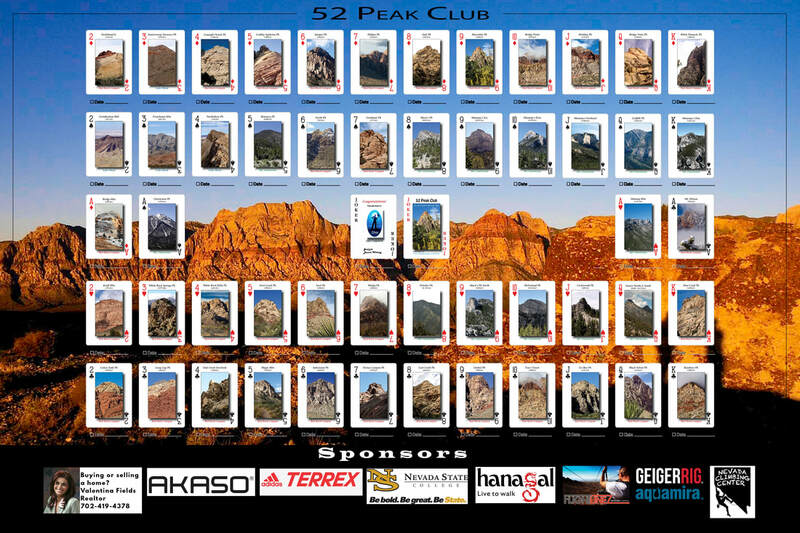 Why did you join the 52 Peak Club: I originally started hiking the tourist trails out in Red Rock with friends, but quickly found myself looking for something more. 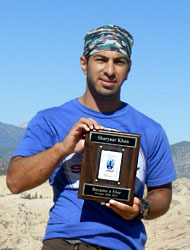 I saw hikers out on the peaks in the area and knew I wanted to be up there with them, but didn’t know the routes. After hiking with other groups on Meetup, the 52 Peak Club seemed like the logical step for me. I was looking for a real challenge and I knew I had found it. Toughest Peak: Mt. Wilson via Dead Horse Gully; we also hit Dead Horse Point, Wilson S Summit and White Pinnacle on this hike. I was dehydrated and cramping like crazy for most of the hike, but I kept pushing thanks to Bob and Mike. Favorite Hike: Ice Box, White Pinnacle, and Bridge Mtn. How did you feel once you became a 53er: Relieved and excited. I felt like I had accomplished a lot in a very short time and knew I’d come a long way from when I started. I’m glad to have met so many diverse, experienced, knowledgeable people along the way that I consider friends. 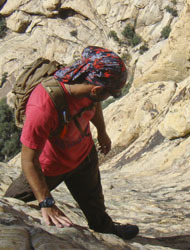 Advice for new hikers: Be prepared for anything out there. Know your limits, but always push yourself. Try to get better mentally and physically. Most importantly, enjoy the time you’ll be spending with all of those other outdoor enthusiasts and have fun!